Tiffiny Mitchell, one of the leaders of INCO's Astoria Community Group, writes in today's Daily Astorian about why she and so many other Americans will rally for truth Saturday and continue to resist the Trump agenda. Thank you, Tiffiny! Read her guest column here, at http://www.dailyastorian.com/columns/20170531/guest-column-the-un-american-quality. The last few weeks prove America is no longer the leader of the free world http://bit.ly/2rhopnQ. Our international standing is decimated and our national security is at risk. --Jeff Session lied about meeting with Russian officials http://cnn.it/2qdElul. --Jared Kushner tried to establish a secret backchannel with Russia http://cnn.it/2s8TFFO. Germany’s Chancellor Merkel stated Europe cannot rely on America (http://wapo.st/2rPYGWw). France’s President Macron compared Trump to autocratic leaders http://ind.pn/2s8TVVo. Oregon MoCs (except Walden)—have spoken out against Trump’s move towards dictatorships like Russia. Now they must demand an independent commission AND the resignation of compromised staff. Our national security and standing depends on it. “My name is [--] and I’m a constituent from [city], Oregon. I am deeply concerned about the Trump administrations actions which move the US away from Democratic Europe and towards dictatorships like Russia. We must stand with our allies. Our national security and international standing depend on this. I ask that the [Senator/Representative] call for the resignation of Attorney General Sessions and Jared Kushner. I also ask that he/she do all that he/she can to establish an independent commission regarding Russian interference in our election and HOLD Congressional business until this happens." Urge them to ask their MoCs to 1) call for the resignation of Attorney General Sessions and Jared Kushner AND 2) do all they can to establish an independent commission regarding Russian interference in our election. Share this email with other resisters. They can join INCO here. Save the Affordable Care Act, get an independent commission to investigate the Russia-Trump connection, resist Trump's destructive budget, and protect our families from Wall Street greed. Details here. Tell your Members of Congress to defend democracy and oppose the Trump agenda. We rally to encourage citizen involvement, promote the importance of truth and facts, and demand truth and transparency in government. Bring your own supplies if you can, especially foamboard, markers, etc. Friday, June 2, 1-3 pm, Carolyn Eady's home on Astoria's south slope. Please email here for address and directions. Friday, June 2, 6 - 7:30 pm, Carrie Nyland's home near Sunset Beach. Space is somewhat limited. Please email her directly to confirm attendance. 2nd Thursday for 4 months. Attend as many as you'd like. Saturday, June 10, noon -7 pm, Set up or take a shift at the INCO booth at the Pride Block Party. Pins, patches, and people! Contact INCO here to volunteer. Sunday, June 11, Walk with INCO in the Pride Riverwalk Parade. Meet by 11:45 am at the Columbia Maritime Memorial Park under the bridge. The parade starts at 12:30 and goes to the foot of 21st Street, with a short rally with speakers. Who will carry the INCO banners? Details about Trump's budget here. The Republican Hypocrisy Hall of Fame here. The ACLU wants to make public the special prosecutor's investigation. Details here. Senator Jeff Merkley answered challenging questions from a full house at his Town Hall on May 28. Thanks to Patterson Celata for these photos. Thursday, June 8, Resistance School, 5:30-8 pm, Seaside Public Library Community Room. Thursday, June 15, INCO Leadership Monthly meeting; contact for details. Check for details and new posts on our events page. Read and discuss important books with INCO's book club. Details here. The book for June is Timothy Snyder's ON TYRANNY: TWENTY LESSONS FROM THE TWENTIETH CENTURY. You can make a difference as we work together to defend democracy. Get involved with your INCO Community Group today! 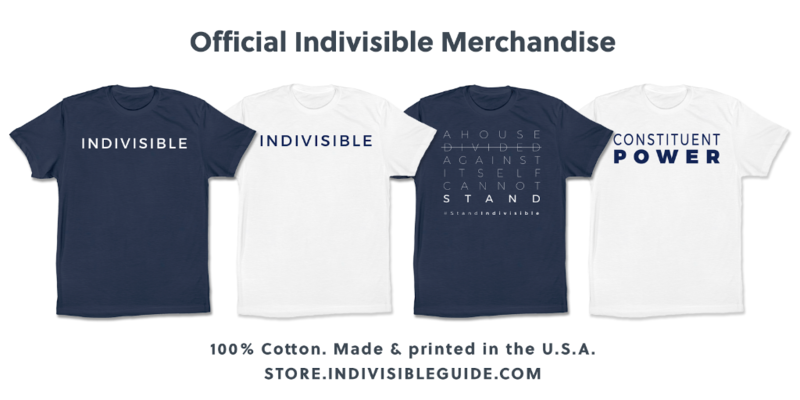 This is your last week to buy your Indivisible t-shirts! Deadline to order is June 1. Trumpcare (AHCA) will end Medicaid as we know it and cost lives. It destroys a 52-year Federal Government pact to provide a medical safety net. -- no longer provide guaranteed Medicaid funding to States but instead provide funds per capita – a limited set sum. Increases in population or illness rates will force states to cut coverage. --end the ACA Medicaid expansion, freezing it in 2020. Re-enrollment after coverage interruption will be nearly impossible. Senators Wyden and Merkley have spoken out against Trump’s drastic Medicaid cuts. http://bit.ly/2reaBfV, http://bit.ly/2rbw1Z9. Trumpcare is entitlement reform to end Medicaid and breaks the federal government’s promise to take care of all Americans—not just the wealthy. We must throw out the Trumpcare/AHCA, save Medicaid, and fix the ACA. Urge them to call and ask their Senators to promise to protect Medicaid and to share their Medicaid stories. Our MoCs are on recess. Show up at their town halls and let them know how you feel about your healthcare! KUDOS to the 34% of Clatsop County's registered voters who registered to vote in the May 16, 2017 Special Districts Election. Where were the other 66%? At a time when Russia is actively working to destabilize democracies and democratic institutions, we Americans are doing that without any help from outsiders. What can we do to improve voter turnout? • The county must prepare a hard-copy and online voter information booklet for every election. Otherwise, voters are voting in the dark, especially if they don't read the Daily Astorian regularly - or not voting at all. • Get active with local political parties. • Get active with Indivisible North Coast Oregon (INCO). One of our main goals is to encourage citizen participation in governance. Sign up here. • Register others to vote. Forms available online and at the county Elections Office, 820 Exchange, 2nd floor, Astoria. • Attend City Council and County Commissioner meetings. Run for office. Recruit candidates to run. Support political campaigns for candidates and issues you endorse. • Share your ideas with INCO. Vote the Future remains an active site for local and national elections. How can we make this site more effective? The CBO score for Trumpcare 2.0 proves it’s not a healthcare bill. It’s a tax break that throws 23 million off insurance. It passed the House. Our Senators are asking for our stories which will help them stop Trumpcare in the Senate. --is destabilizing the market, causing premiums to rise (http://lat.ms/2qXpBiW). Our Senators are trying to save the ACA. Sen Wyden is investigating GOP attempts to hold it hostage (http://bit.ly/2qmpmct). Sen Merkely held a rally blasting Trumpcare http://bit.ly/2qiLh57. They are asking us to speak out (http://bit.ly/2rXbu9P, http://bit.ly/2mTMX5P). We must keep calling. Our stories can stop Trumpcare. “My name is [--] and I’m a constituent from [city], Oregon. I want to thank Senator [--] for standing up against Trumpcare. It is an inhumane bill that will make America sicker and poorer. I am asking the Senator to withhold consent on all Senate business until there is an OPEN and TRANSPARENT process stablished for FIXING the ACA. Trumpcare must be thrown out. It cannot be changed for the better. While Trump has been busy obstructing justice, taking away healthcare, and writing a draconian budget, the House has passed protection rollbacks that, if approved in the Senate, will adversely affect all Americans. These bills are not in the headlines but will have real and lasting effects on our lives. They sailed through a House vote. We must stop them in the Senate. “My name is [--] and I’m a constituent from [city], Oregon. I am concerned about all the regulatory bills that are going through the Senate right now. If passed, they will make American lives worse, not better. I am asking the Senator to vote NO on S.951 (the Regulatory Accountability Act), S.21 (the REINS Act), and S.34 (the Midnight Rules Act). We need the Senator to stand up for rules that protect the American people. Urge them to ask their Senators to vote NO on S.951 (the Regulatory Accountability Act), S.21 (the REINS Act), and S.34 (the Midnight Rules Act). AG Sessions is taking his crusade against criminal justice reform from Congress to the Department of Justice. He is taking America in a harsh, discriminatory direction, which is unacceptable. --Blowback to the DOJ policy was immediate. Sens. Merkley, Leahy, and Paul introduced the Justice Safety Valve Act (S.1127), amending current law to allow judges to sentence below mandatory minimums under certain circumstances. H.R.2435, the companion bill was introduced by Reps. Massie and Scott. http://wapo.st/2rwX2J0 . Sen. Merkley is leading the charge against Sessions’ crusade with S.1127. Oregon MoCs also co-sponsored legislation that will block ICE agents from stalking sensitive locations. http://bit.ly/2nP4vOC; http://bit.ly/2qSEIay. We must make sure they all keep up the strong work for our civil and human rights. Urge them to call their Members of Congress to support the Justice Safety Valve Act. Tell them that the bill has bi-partisan support – a rarity in this Congress. Last week Rod Rosenstein appointed a Special Counsel to address the Trump Administration’s Russia ties. Why? Because Trump fired the FBI Director investigating those ties, General Flynn refused to testify, and US Attorney General Sessions lied about his own Russian connections. But it isn’t enough. Congress must ALSO create an independent commission. --be at risk of being undermined by the White House (http://reut.rs/2rmHNTe). --produces a public report (http://wapo.st/2qcRNJV). Sen Merkely supports S27 and all Oregon Reps (except Walden) support HR 356 – bills that establish an independent commission. These bills MUST to come to the floor for a vote and be approved – our democracy hangs in the balance. “My name is [--] and I’m a constituent from [city], Oregon. I want to thank Senator Merkley for his support of S.27, which will establish an independent commission to examine Russian election interference. I ask that the Senator do all he can to bring S.27 to the floor for a vote and HOLD Senate business until this happens. “My name is [--] and I’m a constituent from [city], Oregon. I want to thank Representative [--] for his/her support for HR 356, which will establish an independent commission to examine Russian election interference. I ask that the Representative do all [he/she] can to bring HR 356 to a floor vote, and HOLD Congressional business until this happens. Tell them to pressure their Republican House Members to sign the HR 356 discharge petition (which will allow it to come to a floor vote without House Speaker Paul Ryan’s approval), and their Republican Senators to pass SB 27. President Trump is expected to send Congress his final budget this week http://politi.co/2r1Hk9h. The proposed federal cuts follow a familiar pattern of shifting resources away from low and middle-income people and undercutting bedrock social institutions in favor of get-richer-quick schemes and tax cuts for wealthy people. --Cuts to education spending overall are likely to hit 13.6 percent. http://wapo.st/2r1EXTV. --Oregon would lose an estimated $312 million for pre-college schools. These cuts would worsen Oregon’s current $1.6 billion state deficit. -- Student loans, loan forgiveness and supplemental grants for low-income students are facing steep cuts or zero funding http://bit.ly/2q568Il. -- School choice and voucher programs could gain about $1.4 billion in funding http://wapo.st/2r1EXTV . -- Donors to charter schools could get a new tax credit http://politi.co/2r1Hk9h. -- Oregon MOCs champion education. Senators Wyden and Merkley voted against Betsy DeVos's nomination. Reps. Bonamici and Schrader, Blumenauer, and DeFazio are on record opposing Trump’s overall budget; Bonamici and Schrader singled out education cuts (http://bit.ly/2rrT5W2, http://bit.ly/2qJbuNr, http://bit.ly/2qa9RV9, http://bit.ly/2qMnMTk). Please tell a personal story, if you have one, about how federal support for education made a difference to you or to someone close to you. “My name is [--] and I’m a constituent from [city], Oregon. I want to thank Senator [--] for his longtime advocacy for education and for his opposition to the nomination of Betsy DeVos as Secretary of Education. We need a budget that will maintain or even expand public education at all levels. I ask that the Senator oppose further funding for charter schools and school vouchers in the FY 2018 budget. Also, I ask that the Senator vote to continue all of the other programs in the FY 2017 budget at current or higher funding levels. “My name is [--] and I’m a constituent from [city], Oregon. I want to thank Representative [--] for [her/his] longtime advocacy for education. We need a budget that will maintain or even expand public education at all levels. I ask that the Representative oppose further funding for charter schools and school vouchers in the FY 2018 budget. Also, I ask that the Representative vote to continue all of the other programs in the FY 2017 budget at current or higher funding levels. “My name is [--] and I’m a constituent from [city], Oregon. I am deeply disappointed in the Administration’s proposed budget for education. We need a budget that will maintain or even expand public education at all levels. I ask that the Representative oppose further funding for charter schools and school vouchers in the FY 2018 budget. Also, I ask that the Representative vote to continue all of the other programs in the FY 2017 budget at current or higher funding levels. Alert your friends to the upcoming Trump-DeVos education budget. Urge them to call their Members of Congress to support the FY 2017 education funding levels, except for charter schools and vouchers, which should be de-funded. Ask them to include their personal experience with how federal education funding made a difference in their lives. Support the Candidates - Support Democracy! URGENT ACTION!!! - CALL TO STOP TRUMPCARE 3.0!!! ACTION: KEEP CALLING TO SAVE THE ACA!